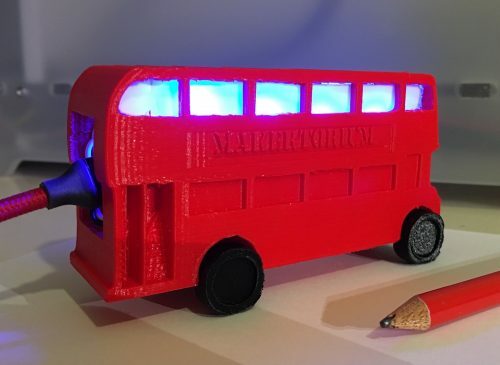 Raspberry Pis, blinking lights, and APIs – what’s not to love? It’s really not surprising that the NYC Train Sign caught our attention – and it doesn’t hurt that its creators’ Instagram game is ? on point. NYC Train Sign. 3.9K likes. Live MTA train wait times signage. The team, headed by creator Timothy Wu, uses the official NTA server API to fetch real-time arrival, departure, and delay information to display on their signs. They also handcraft the signs to fit your specifications. How very artisanal! The information of the Trains (and buses too) arriving to a station is public information so any tablet or smartphone can get the information from the Web. But NYC Train Signs is under contract by the MTA (Metropolitan Transit Authority) to maintain, replace and build the station signs. This is no biggie to get a Raspberry Pi in there to get the job done but this is an internal and private network that is being used. They were using tiny PCs before. More power to them! Wish them the best! And yes, I live in New York. Might drop my resume at their office. How odd – it works this end. Maybe the site is easily flooded or the DNS is crapped upon itself. What ever it is, the problem still exist for me. I’m in the USA, BTW. But just because the vid is down for me, does not mean this is a bad article. The article stand on its own without the vid, so it is great. And that is how it should be. Wtf… Monthly price ?. 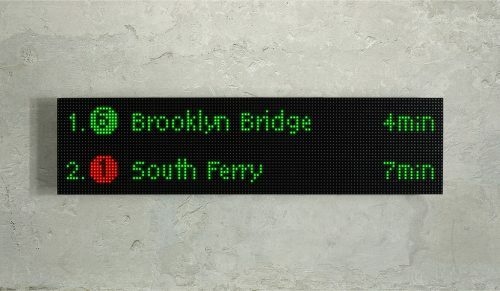 Living in Denmark I´m “not that interested” in NYC train times, but if the sign(hardware) was available as hardware it would be great for a lot of uses. They could even make a simple www interface so users that don’t want to program just could connect using a browser and type in the messages they want to display. That would open op a second marked/use for this nice sign. I can use this timetable display in any industry! Thank you for this great idea! How are they controlling 36 x 72 LEDS. There is not enough IO on the PI for that so there is either some kind of multiplexing or they are using neopixels. Any ideas?